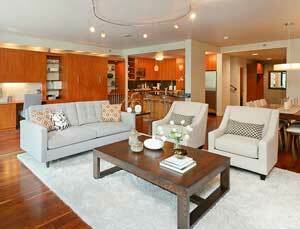 Synergy Staging is an award winning boutique home staging company that serves the Portland Oregon area. As Portland’s leading expert in home staging, we will transform the way buyers see your property to sell your house quickly and for the most money possible. Our proven results and five-star reviews guarantee that your home will show its absolute best, shine in online photos and marketing, and drive maximum traffic to your property. Synergy Staging owners Nik and David will be involved in every step of the staging process, from consult, to design, to installation, to removal, ensuring that the staging is perfect the first time down to every last detail. 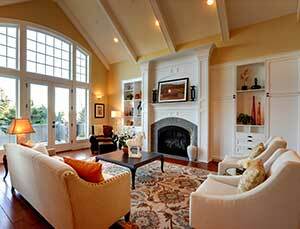 Contact us today at 503-557-2244 so we can create the perfect staging package for your home. We specialize in vacant home staging and will transform your empty property into a home that prospective buyers will not be able to resist. We customize every design with our extensive inventory to highlight the individual character that is unique to your home. Our staged properties not only show better than vacant homes, but also dramatically increase the value and enhance the buyer’s emotional connection to the home. 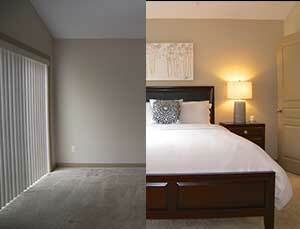 Updating your wall color is one of the most cost effective ways to transform any space. Synergy Staging is amazing to work with. They take the time to really listen to clients needs and concerns which naturally helps them to build rapport. They do it all, from the consultation, to the actual staging. You are working directly with the owners when you are work with Synergy! 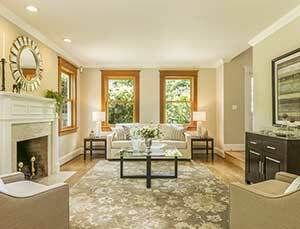 The staging is always gorgeous and time on market is reduced dramatically! I can't recommend Synergy highly enough! Synergy Staging offers an absolutely superlative staging experience. My clients not only are very proud of how their home looks after Synergy has staged it, they are also thrilled because they know that their homes will sell for much more than they would have if they had not been professionally staged. I can, without reservations, recommend Synergy Staging. We hired Synergy to stage a spec home built for the 2014 Happy Valley Street of Dreams. We are currently in escrow for very close to the list price ($1.3M) - and I'm certain we couldn't have done that without it showing the way it did. I will definitely use them again. Absolutely the best in the business.